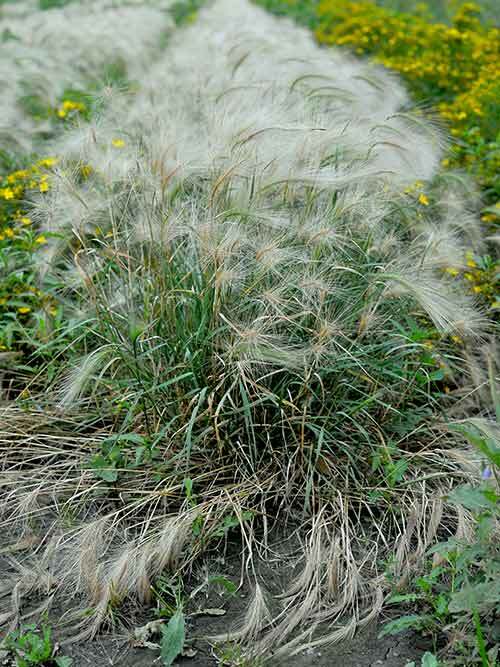 In early summer, often seen along roadsides subject to compaction and salt runoff. 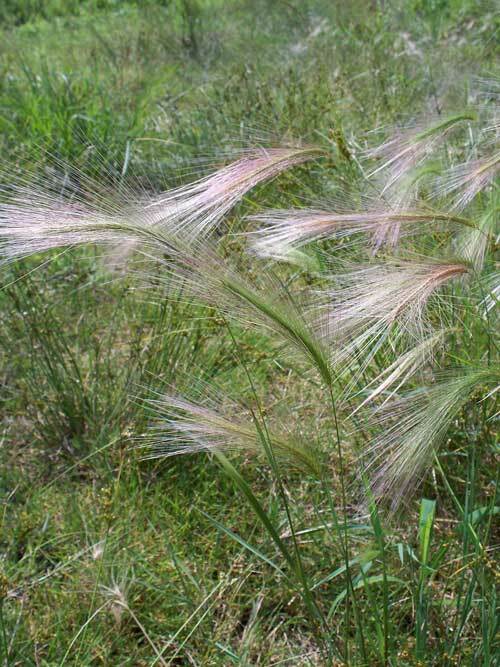 Characteristics: A bunchgrass; the long awns have a silvery-metallic look. Habitat: Abandoned fields, roadsides, open ground.